The Earth, where we live, is truly a magnificent and beautiful world. It’s the only planet in the solar system known to have life, mild climate, water as solid, liquid and gas. As you look around you can see amazing skyscrapers, flowers, peaches, archipelagos, languages, music, architecture, literature, children, and human existence. We live in an environment that is full of magic and wonders. But despite all the beauty that we see, there is also something dangerous ahead. In the beautiful country of France, there was this popular tourist destination, the Isle of Rhe. Rhe is a small island with just 19 miles long and 3 miles wide. The said isle has its specific set of waves that displayed the power of nature beautifully. 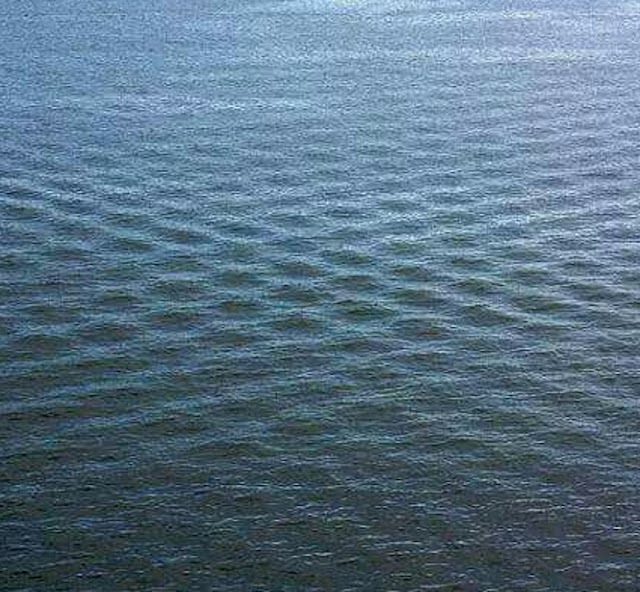 The waves of this isle display a bizarre pattern which draws the attention of the tourist. It formed in a strangely square pattern which resembles a chessboard that is perfectly laid on the surface of the ocean surrounding this small slip of land. The pattern is so captivating and striking that tourists often visit the isle and even go to the lighthouse just to take a look at the highest elevation of its incredible beauty. Though it might leave us questioning on why it happens in this area, researchers believe that this incidence has its reason why it has to appear that way. And they found out why. It’s because of what they called, cross the sea. 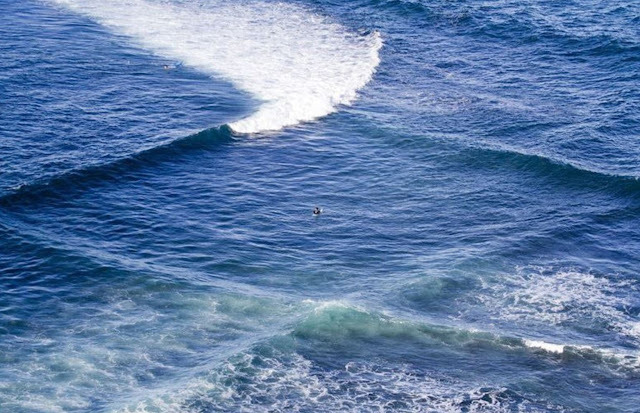 A cross sea happens when two seas meet in the area where a certain island is located. 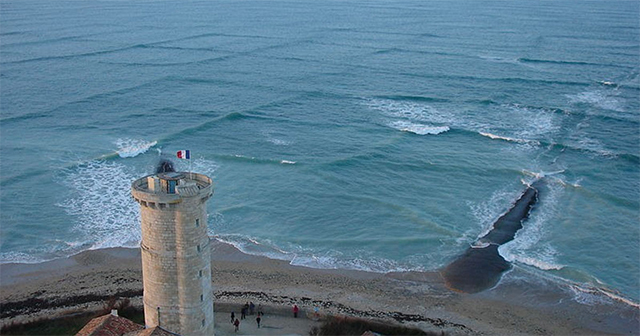 These two seas which cross the area have different weather pattern which creates different wave patterns just like the strange square shape. Although it is spectacular to look at, the cross sea is so unsafe for tourist to be in. The riptide of the cross sea is so strong that even the average person cannot control it. Its dangerous for most people to be out there when it happens. Fortunately, the weather that creates the cross sea in this isle doesn’t affect the ocean all the time, so for all the sea lovers out there, it is considered safe to indulge in the water. Although it is easy to disregard the nature around us as we are busy with our daily commitments, we still observe that it changes naturally every single day. We should take full advantage of nature and go out of the home and explore the wonder of nature, and even if we would never want to find ourselves in the ocean surrounding the Isle of Rhe, we can still put it in our bucket list. This peculiar event reminds us that nature has their power and uniqueness provided by God, it is like our real mother who never harms us but always nourishes us. This world is not a single plane, it is vast and varied and waiting for you to experience it. We live in a beautiful world. It is that time that you see the beauty God has created. It is ever-pervading and impossible to miss unless your eyes are closed. So open them.